David McKenzie, DPM is Certified by the American Board of Foot and Ankle Surgeons and a Fellow of the American College of Foot and Ankle Surgeons. He graduated from Weber State University and Midwestern University College of Podiatric Medicine. His residency years were completed in Utah, where he experienced a full range of Foot and Ankle surgical approaches and experiences working within the podiatric and orthopaedic disciplines across the Wasatch front. He began post-residency practice in July of 2013. Dr. McKenzie is on staff at the IMC Utah Podiatric Medicine and Surgery Program and works extensively training residents and students. He has lectured on various surgical topics throughout his practice and enjoys the academic aspect of Foot and Ankle Medicine and Surgery. He lives in Saratoga Springs and also practices in Utah County. He is married to Shelly and has 6 children. When he's not seeing patients, he enjoys volleyball, rock climbing, guitar and being with his wife and kids. 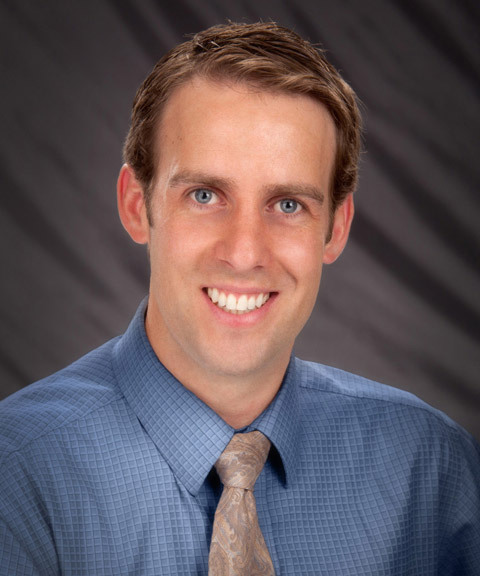 He has been practicing in Tooele since July 2013 and is committed to providing excellent foot and ankle care with other providers at the Tooele Orthopaedics and Sports Medicine Clinic.